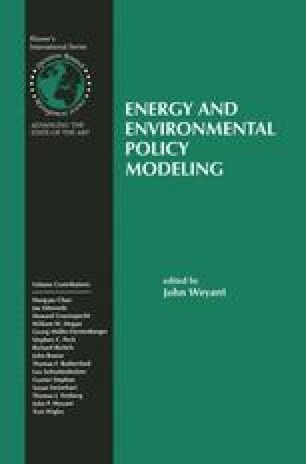 This paper describes a new method by which a competitive market economy may be represented as the optimal solution to a planning problem The resulting sequential joint maximization (SJM) algorithm solves a sequence of “partial equilibrium relaxations” of the underlying general equilibrium model The partial equilibrium submodels can be solved as nonlinear complementarity problems or as constrained nonlinear optimization problems in either a primal or dual form. This paper introduces the three SJM algorithms, evaluates performance and examines convergence theory. Computational tests demonstrate that SJM is not always as efficient as complementarity methods. A counterexample is presented which demonstrates that local convergence of SJM cannot be guaranteed Although SJM may have neither the theoretical pedigree of a fixed-point algorithm nor the local convergence rate of a Newton algorithm, the usefulness of the SJM algorithm is demonstrated by the range of real models for which the procedure has been successfully applied SJM benefits from the availability of robust, large-scale nonlinear programming codes. Consequently, for large scale equilibrium models with inequalities SJM may not be the “best” algorithm in theory, but it works extremely well in practice.